Small hopping insects found on the pathway between the Demon Ruins and Lost Izalith. They have no means of inflicting damage. 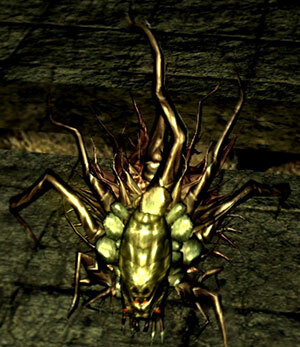 There is one with a unique, red glow to its eyes that does not respawn. 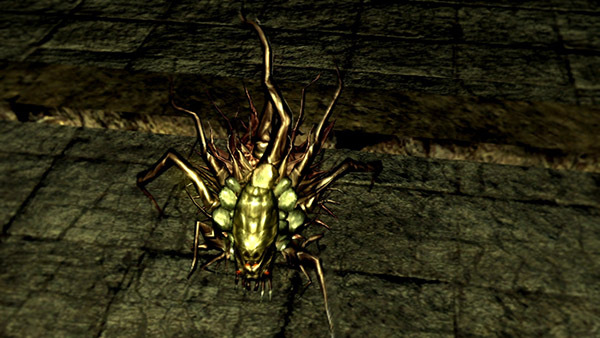 The red-eyed Chaos Bug provides a useful item and is linked with Solaire of Astora's storyline. At the shortcut between the two areas, where the gate unlockable with the Chaos Servant covenant is found. Turn right before the Demon Firesage boss fog to find a tunnel full of roots. Three of them are on the Demon Ruins side, and six of them (including the red-eyed Bug) are on the Lost Izalith side. The red-eyed Chaos Bug is linked with Solaire of Astora's storyline. Check his page for more details and tips.